Recent dedicated Hinode polar region campaigns revealed the presence of concentrated kilogauss patches of the magnetic field in the polar regions of the Sun, which are also shown to be correlated with facular bright points at the photospheric level. 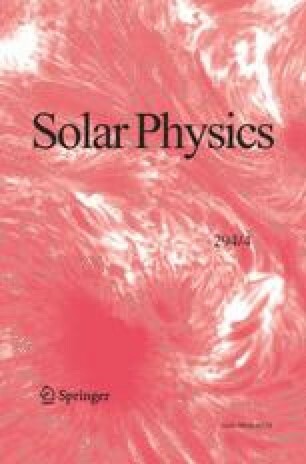 In this work, we demonstrate that this spatial intermittency of the magnetic field persists even up to the chromospheric heights. The small-scale bright elements visible in the bright network lanes of the solar network structure as seen in the Ca ii H images are termed network bright points. We use special Hinode campaigns devoted to the observation of polar regions of the Sun to study the polar network bright points during the phase of the last extended solar minimum. We use Ca ii H images of chromosphere observed by the Solar Optical Telescope. For magnetic field information, level-2 data of the spectro-polarimeter is used. We observe a considerable association between the polar network bright points and magnetic field concentrations. The intensity of such bright points is found to be correlated well with the photospheric magnetic field strength underneath with a linear relation existing between them. Hinode is a Japanese mission developed and launched by ISAS/JAXA, with NAOJ as domestic partner and NASA and STFC (UK) as international partners. It is operated by these agencies in cooperation with ESA and NSC (Norway). N. Narang acknowledges the Human Resource Development Group (HRDG) of Council of Scientific and Industrial Research (CSIR), India, for awarding Senior Research Fellowship (SRF). V. Pant is supported by the European Research Council (ERC) under the European Union’s Horizon 2020 research and innovation programme. The authors would like to thank the anonymous referee for detailed comments, which led to the improvement of the manuscript.